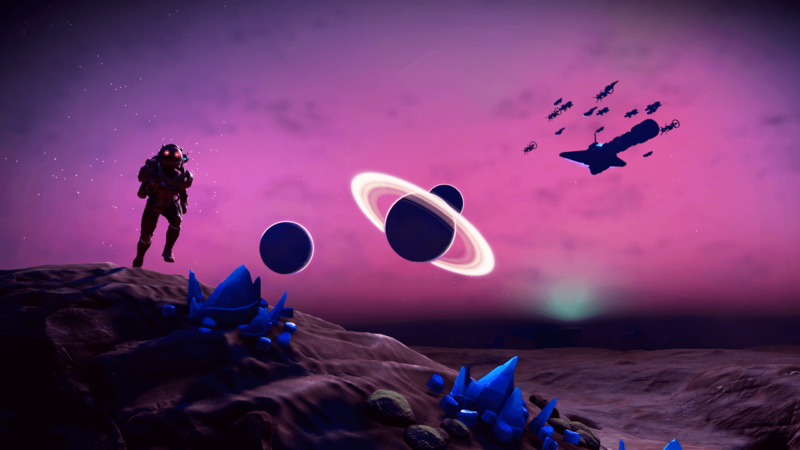 No Man's Sky latest helping of free content, patch 1.63, also known as the Exocraft update, features a variety of new upgrades to the existing exocrafts available in the game, as well as the brand new one: the Pilgrim. It's a fast-moving, scrappy, orange vehicle that you can hop on and speed away in, especially when it comes to multiplayer racing. Geobays have gotten an upgrade as well, and they only need to be built one time now. Following that, you can summon any exocraft you own with unlimited range on any planet wherever you've built an Exocraft Summoning Station. Further, you can grab special upgrades for the Pilgrim and other exocraft from the Exocraft Technician when you complete their specific missions. From there, you can continue to upgrade and customize them to your liking including decals, colors, and other random effects. You can check out a full list of patch notes via the official No Man's Sky blog, as well as information on the Community Research update, and various other goodies that come with this particular update. Have you been enjoying No Man's Sky since the massive Next update? Will you be enjoying what the newest patch has to offer? Let us know in the comments below! Nice, informative article. They are really cranking away on this game, it keeps getting better.